I was on the phone at work today, talking to a secretary about sending out a FedEx. As she was talking, I felt this odd little tapping, like someone was lightly drumming their fingers on the inside of my stomach. Or popping popcorn. Or bursting soap bubbles. “OH!” I shouted, as I realized what it was. Being the smooth professional that I am, I gracefully picked up the conversation where we had left off. “Whoever actually sends the baby will need to sign the proof of service,” I continued. There was a confused silence until I figured out what I’d just said. 16 week picture of yours truly below. Do not scroll down if this will upset you. Also upsetting (beside the whole pregnancy aspect): 1) that I’m a terrible photographer; and 2) that someone doesn’t shut their dresser drawers. TAMMY. I hate to have to break this to you all, but I am in fact headless in real life. Shocking, I know. This entry was posted in Pregnancy and tagged Baby, Lesbian Parenting, Work by Sarah. Bookmark the permalink. Yay! That’s a beautiful bump! Im so jealous – mine still hast arrived! When did you pop? HAHAHA, I looooove this! That is a great story. Also, you look so great! Super cute belly! My husband refuses to shut his dresser drawers. It drives me BONKERS! Whoever sends the baby should probably also punch some air holes in the package. Point of order. Excellent point. Will definitely remember that for next time. 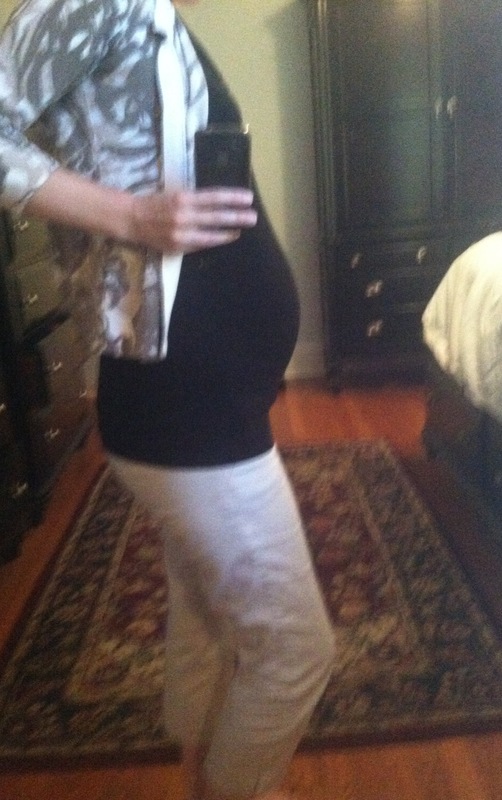 Nice bump picture! Looks like little one is coming along well. Love the outfit.